Los Angeles mother Lori Ibrahim recognizes that there is an inherent need in children to be with their mother, and she is broken-hearted that Child Protective Services is ignoring that fact. 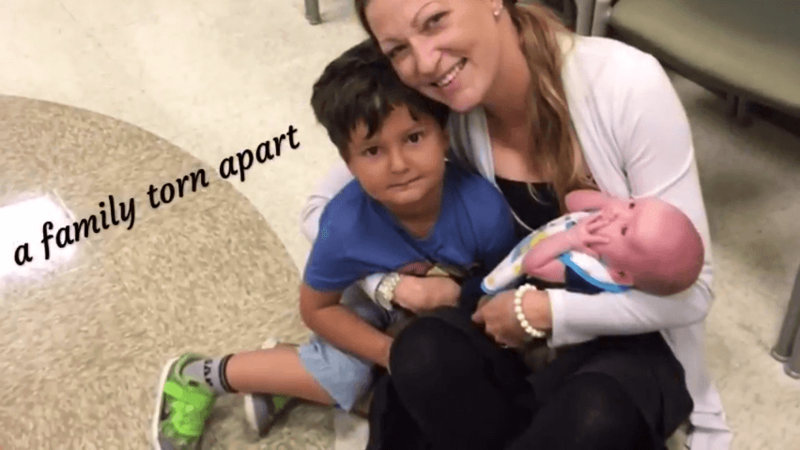 Her children were taken away from her after she had a positive drug screen after giving birth to her youngest son in July. Her friends are asking how this can happen, since the only drugs that she was taking were medications that were properly prescribed by doctors. Since being in state care, her infant has bruises, and her older son is traumatized from the separation. Health Impact News spoke with Lori after a recent visit with her children. She put into words what many parents have expressed about the grief of being separated from their children and the joy of spending time with them at visits, followed by the heartbreak of having to say goodbye at the end of the visits: "It's like being admitted through the pearly gates, and then someone opens a trap door and drops you into the pits of hell. It's so unnatural and so wrong to hand your babies to a stranger and walk away from them." My wife was diagnosed with a cancer, ( before i learnt of Rick Simpsons oil / RSO ) the hospital said to do chemotherapy and radiotherapy.. she did.. and went through a lot.. but no cure, after a while the doctors said the cancer was spreading and we could look for alternatives.. i searched the internet and found out about the oil.. asked a lot of questions.. watched the videos etc.. we made the oil our selves but it couldn't just work out we were doing more harm than good and the cancer was still there spreading, i searched more on the internet i found a testimony on how a lady got the oil via an email, ricksimpsoncannabisoil96@gmail.com immediately copied the email: i wrote to this very email ricksimpsoncannabisoil96@gmail.com and in an hour later i got a reply back asking me some few questions, and enlightened me on how to get the oil in the next 48hours, i placed my order and in the next 48hours the medication oil got to us. immediately my wife started using the oil, it been two months now, since my wife has been using the medication oil and the cancerous problems are gone this very fact was clarified by the doctor. i put up this piece of testimony for the sake of those once who need this oil to please don't die in silence their is a cure for your cancer today email: ricksimpsoncannabisoil96@gmail.com and get the oil. What the hell did I just watch ?Are you telling me that hoodlum is a foster parent ? Jesus Christ ! If this is the standard of people CPS accepts as a foster parent the maybe CPS as an organization should be terminated . I'll tell you this . That hood rat would not be driving off with my son and what ever the cost to me personally in money and freedom that Cps worker would be held to account . Weather CPS or DPCS...they were wrong for taking her children! That so called Foster parent needs her credentials for fostering children away from her...she is a poor excuse. The state needs to look more into the backgrounds of these wanna be foster parents..look how many kids in care of foster parents are treated as just a paycheck...the money they get for these kids ,don't go to them it goes in the bank accounts of the foster parents...mind you not all are bad. My parents were Foster parents...they treated the children like us ..we grow up with them until they were old enough to go on their own or they could be with their families. Lately CPS /DPCS have taken it upon themselves to decide were children should be..yes in some cases they need to be removed..but all this mother did was FOLLOW DOCTORS ORDERS and take medicine proscribed to her.They need to give her back her children..she should sue the state for this . How in the HELL is this agency getting away with this??? Who in the HELL gave them this kind of authority to rip children away from their parents or parent....WHY are they placing children with foster parents ... They do not love these children like the REAL parents do... What is this system doing... under what authority??? Does this mom have a history of using drugs??? Is she a recovery addict??? What country are we in??? This sounds like something more likely to occur in a Country ruled by a dictatorship, ruled by a corrupt government.... WHAT IS really going on??? WHERE are we ??? is this the United States??? Who in the HELL gave these people all of this authority..!! !